Good morning everyone! For Day 20 of the 30 Days of Christmas, I made a Christmas card. Not my usual project, but I wanted to mix and match several of the stamps and decided this would be a great way to do it. 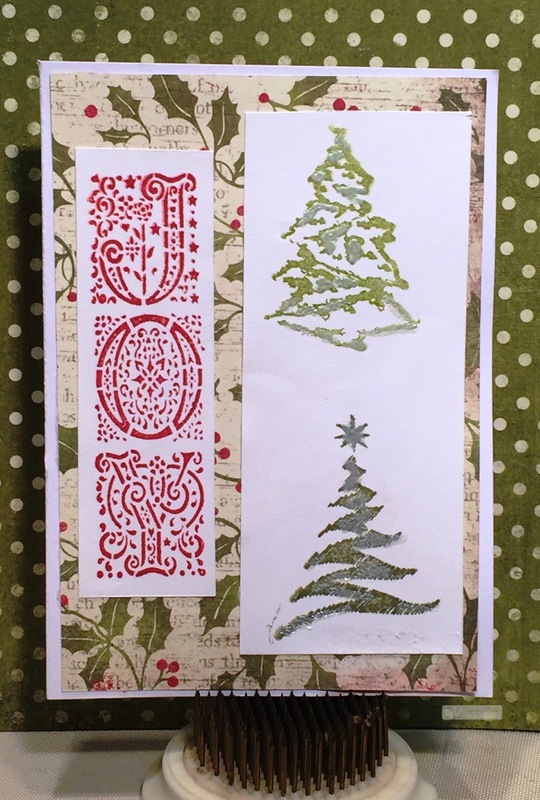 I stamped two of the Christmas trees from the Christmas Trees Set of 6 set using Dusty Lime and Snowy Evergreen ink, one underneath the other. I then trimmed the panel and set it to the side. Next I stamped "JOY" from the Christmas Words set with Tomato Sauce ink on another piece of mixed media paper and trimmed. 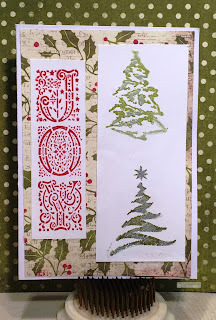 I glued them down to a sheet of Authentique Christmas scrapbook paper, trimmed, and then adhered to my cardstock. We here at Technique Junkies hope you are enjoying our 30 Days of Christmas. Stay tuned for more great projects!